How many lemon wedges should we use to make it taste the same? What's an answer you know is too high? Too low? Guess the volume of the larger cup. How large would a cup be that would require an /entire/ lemon to keep the same lemon taste? how many lemons is enough? how many ounces of water are in each container? Can the drinker taste the lemon in the 7-11 cup? What proportion of lemon is in the Big Gulp? How much more lemon is needed? Can you taste any lemon in that big cup? what's the percentage of lemon juice in the big cup? small cup? Can Nana down that Big Gulp as fast as that glass? why is nana so particular? How many lemons do I need to add to the big gulp? How long to drink the bigger cup of water? Is the same amount of lemon in both cups? How will the water in the big cup taste? How many lemons do you need to use to get the same taste? What is the lemon juice concentration in both cups of water? How many lemons will it take to create the same ratio of lemon water? How lemony is the water? What's the concentration of lemon in the second glass compared to the first one? what is the ratio of lemon in the two glasses of water? Can you measure the sourness of the water? How many more lemon sections would be required in the large water glass to maintain the same ratio of lemon juice to water in the sm. glass? What is the number of lemons needed in the second glass to get the same taste as the first glass? How many lemon slices to make the big cup just as lemony as the small cup? How many lemons does it take to make the larger drink have the same "strength" (concentration of lemon juice) as the smaller one? How much water does each cup hold? How many lemons do I need for the big cup? How many lemons are needed for the big gulp? 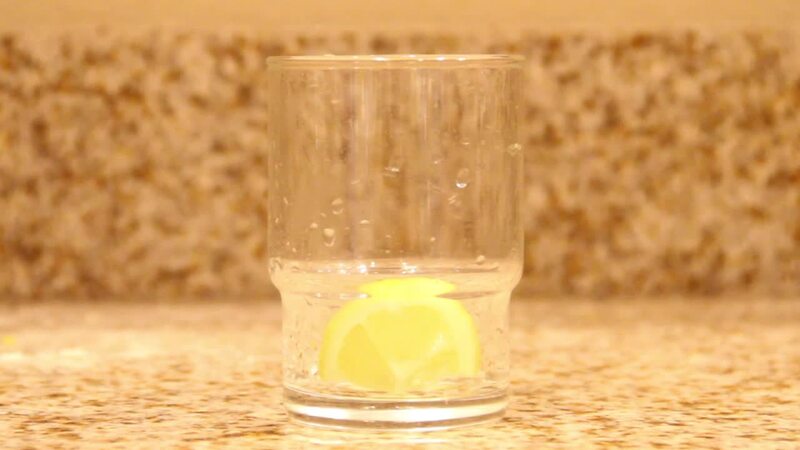 Which glass of water tastes more lemony? Is that enough lemon for the large cup? Why did he only add one lemon to the second drink? what is the volume of the two liquids? What is the concentration in lemon juice in the bigger glass vs. the smaller glass? IS using the same size lemon in a bigger up effective? How much water will the glass hold? How many lemons are needed for the larger cup? How much does each container hold? did they swallow the seed? How many lemons make the Double Gulp taste the same as the glass did? How many lemons will you need to make it the same for the large cup versus the smaller cup? how many wedges to get the same flavor from the larger cup? How many lemons do you need for the big cup? How many lemon pieces will it take to get the same concentration of lemon water in the large glass? What beverage was in the glass? What is the ration between the two cups? How many lemons will be just right for the double gulp? How many lemon wedges do I need to add to my double gulp get the same lemon taste I had in my glass? How many lemon's would the second glass need to taste the same as the first glass? how lemony will the second glass be compared to the first? what was in the glass? Can you drink all of the second cup? how many lemons does it take to make the big cup taste like the little cup? What is the difference in the volume of water between the two glasses. How do you get the big cup to taste as lemony as the first cup? how many lemons will it take to make them the same flavor? How many lemons need to go into the large cup to create the same water lemon ratio? How lemony is the big gulp? how strong was the lemon flavor? Is the 1 lemon really doing anything? How many lemons do I need?